The runner-up spot went to a first time entrant, the writer behind Ensign Evan Delano of the USS Tiger-A. Of his entry, “Resignation,” I said: ” Using the resignation letter genre is a fascinating choice that pays off well in what [the story] is able to do: It’s not so much meant as a plot exposition as a declaration of character, and the tradeoff is a working one of philosophy rather than scenery.” It’s notable that in this round, both winner and runner-up chose unique structures for their entries — the aforementioned manifesto and a resignation letter from Starfleet, respectively — and the panel of judges found these choices to be most effective in crafting the best possible stories. 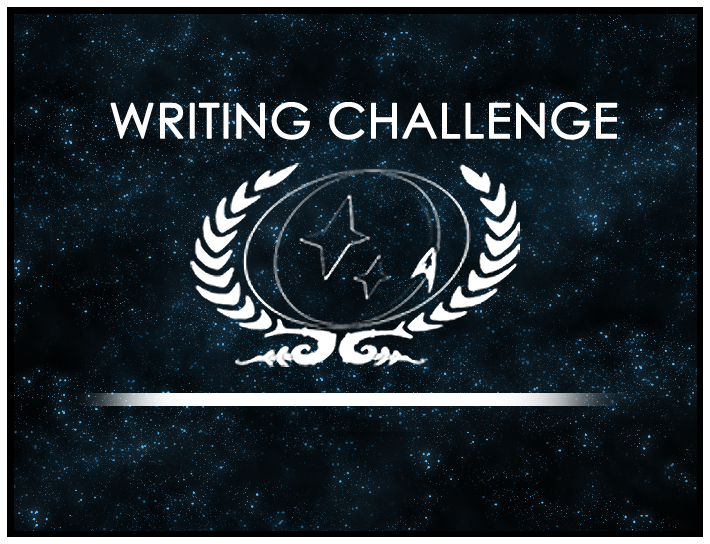 The next Challenge is already open, and it begs you to consider “What Will Come.” Take a look at the prompt and read through the past winner or the new entrants, but be sure to have your submission in on or before October 25th!